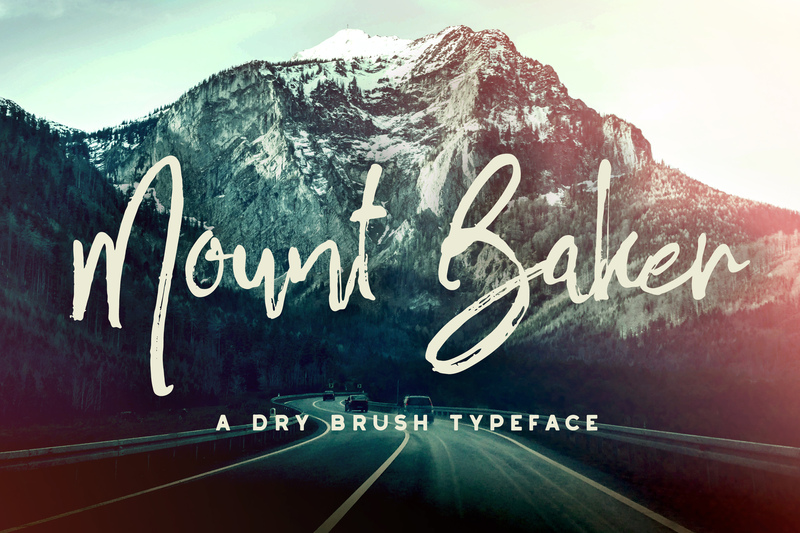 Mount Baker is a dry brush script font created and published by Greg Nicholls, a designer/art director from the Vancouver, Canada. Inspired by the adventurous spirit of the outdoor travels, Mount Baker is coming in 3 styles (Mount Baker Regular, Mount Baker Alternates, Mount Baker Underlines) that all have a raw attitude, thus making it perfect for personalized quotes like logos, branding and personal signatures. Climb the Mount Baker today! A font description published on Thursday, August 11th, 2016 in Fonts, Greg Nicholls by Andrei that has 3,678 views.